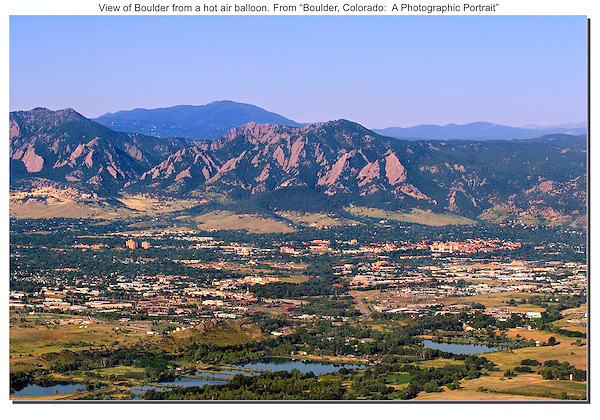 Hot air balloon provides this view of Boulder Valley and the Flatirons. John leads Rocky Mountain National Park photo tours and Boulder photo workshops. Click the above CONTACT button for inquiries. Boulder tours.